A new draft report from the Human Rights Commission calls for the county to repeal its emergency ordinance, which restricted demonstrating in front of the County Courthouse in response to Occupy protests last year. The report, completed this week by a Human Rights Commission subcommittee assigned to focus on the ordinance, recommends that the Board of Supervisors also adopt a policy affirming the county’s commitment to the First Amendment. The draft report also calls for 24-hour access to restrooms at the courthouse. 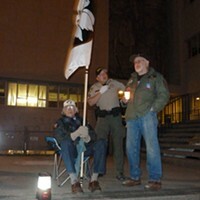 Enacted in March, 2012, Ordinance 2477 limited the hours of protesting on the county courthouse from 6 a.m. to 9:30 p.m., among other restrictions on signs and tables. A subsequent ordinance modified the law, reducing some of the restrictions but keeping in place the ban on staking or hanging signs overnight and setting up temporary shelter. 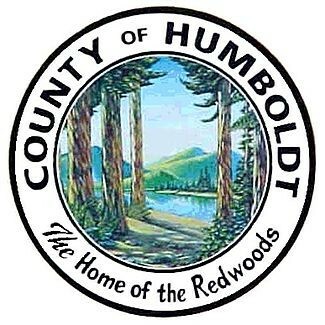 Ongoing public input has led the Humboldt County Human Rights Commission to the conclusion that Humboldt County needs to have a policy statement related to the protection of the First Amendment constitutional rights of the public, while at the same time protecting the rights of all people to a safe and healthy environment. It is reasonable to expect that members of the public may regularly use the Courthouse grounds, and other county controlled properties, to address their elected officials through public displays, protests or other expressions of free speech. This has historically been the case, usually without incident. The Human Rights Commission will review the report on Thursday at 5 p.m. in conference room A in the Humboldt County Courthouse. It needs approval from the entire Human Rights Commission before it can be presented to the Board of Supervisors.